(CN) – Opening a new front in its war with the Trump administration, California joined Planned Parenthood’s fight against a plan that would strip millions in federal funding from family clinics that give advice about birth control. Leading a group of 20 states and the District of Columbia in a friend-of-the-court brief, California Attorney General Xavier Becerra on Tuesday blasted the federal government for “playing politics” with low-income patients. “It’s hard to believe that in  we’re still having to fight to protect the rights of women to have access to the health care that they need,” Becerra told reporters. In February the Department of Health and Human Services released guidelines that health care providers must meet in order to get a piece of the $286 million Title X funding included in the 2018-2019 federal budget. The rules, called the Federal Opportunity Announcement, advocate abstinence or “natural family planning” over contraception. Critics branded Trump’s proposal as red meat for his Republican base and a roundabout way to freeze Planned Parenthood funding – thereby following through on another campaign promise. 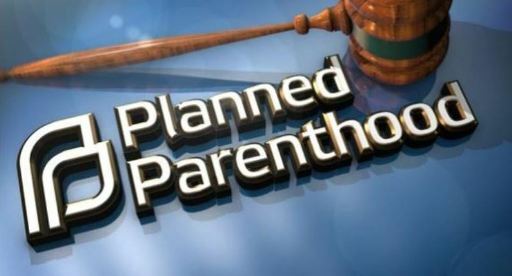 Planned Parenthood and the National Family Planning & Reproductive Health Association responded with a federal lawsuit, hoping to stop the rules before they take effect. They claim requiring health care providers to preach abstinence will increase unintended pregnancies and harm low-income patients that the 45-year-old family-planning program is supposed to help. Filed in the U.S. District Court in Washington, D.C., the lawsuit accuses Health and Human Services of violating the Administrative Procedure Act among other laws. Plaintiffs want a preliminary injunction against the Title X requirements. The supporting brief filed by California includes attorneys general from states like New York, Pennsylvania, Massachusetts, Illinois and Virginia. The filing warns that changes to the Title X funding scheme could impact 4 million low-income residents who use Planned Parenthood and others for services like sexually transmitted disease testing, pregnancy tests, birth control and breast cancer screenings. Maggy Krell, an attorney with Planned Parenthood Affiliates of California, claims the Trump administration is pushing an outdated ideology and blatantly singling out providers that support the use of contraception.